Wisconsin Independent Learning College is the next step toward independence for young adults with Autism. 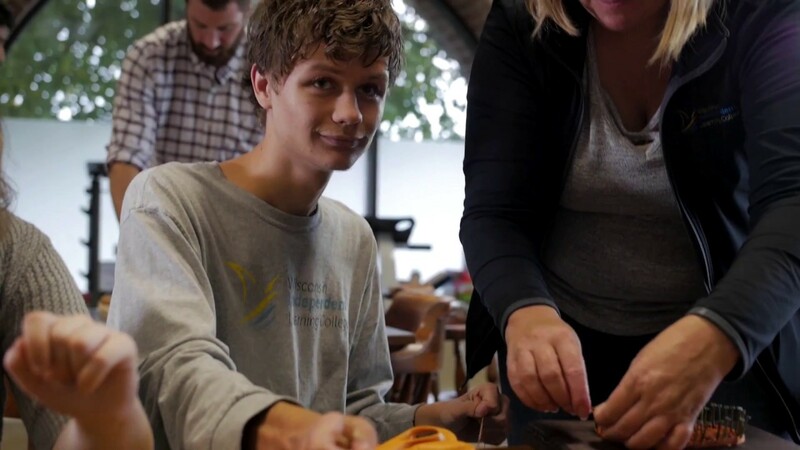 WILC is a private nonprofit college serving adults with autism who desire continued learning; assisting them in reaching their goals for independence. We believe that people with Autism Spectrum Disorders are intelligent and valuable members of society. It is our mission to provide each student with the necessary supports so that he/she may not only have a successful college experience but also become inspired to achieve their purpose in life. We provide integrated, personalized training and therapy programs within a campus community. Striving for independence is what it is all about for our adult students challenged with autism. We understand that specially trained staff with the heart and vision of our mission is essential to the success of our program. We strive to provide an environment that inspires creativity, encourages individuality and supports young adults affected by Autism to feel safe and free to express their thoughts, feelings and opinions and ultimately realize their dreams. We understand that each person is unique and will require individualized programming to achieve their highest level of independent functioning. We provide integrated, personalize training and therapy programs within a campus-life community that teaches, trains, and coaches through an innovative multi-modality approach. DVR Vendor – We are a vendor with Division of Vocational Rehabilitation and have students who have gone through job shadows, work experiences, and were hired by the companies directly. IRIS – The IRIS program is a Medicaid Home and Community-Based Services (HCBS) waiver for self-directed long-term supports. The program is an option for adults with long-term care need. Prevocational & Vocational Training – 75% of our students are currently working through WILC supported employment with job coaches, work experiences, or permanent part-time jobs. WILC has an 85% job placement rate as a DVR vendor. Community Involvement – Our students are active in community activities and volunteerism. Daily living skills, prevocational and vocational education, and training and self-regulation. See our calendar of events for WILC students, parents, friends, and supporters. Contact the staff at Wisconsin Independent Learning College with any questions. From donations to vocational partnerships, learn about the ways you can support WILC.